It’s my blogoversary today and I can’t believe I’ve been blogging now for three years – just where has the time gone? 2015 was one of my best years to date, I met some lovely fellow bloggers at events such as YALC and YA Shot and Crime In The Court, interviewed some top authors like Alexia Casale, Alison Rattle, Karen Maitland, Sarah Hilary, Jane Elson and Piers Torday (to name a few! ), carried out my first face-to-face interview with Jason Starr (post to be published soon) and ran my very first blogging workshop with my lovely sister Chrissi Reads! That’s a whole lot of things to be excited about and if I can be half as successful in 2016 I will be one happy blogger indeed. I just want to thank EVERYONE who reads my little old posts whether you’re a bibliobeth virgin or a returning reader, it really means the world to me and I couldn’t do it without your support. The giveaway IS international so why not try your luck? Once again, thank you so much to everyone in the blogosphere for making this such a great community to be part of. Here’s to hopefully many more years of blogging ahead. Good luck everyone!! Please click on the book covers to get the link to GoodReads! See my review for The Quietness HERE! See my review for The Madness HERE! I’d like to welcome Alison to bibliobeth today and thank her for her time in giving this interview! 1.) Your latest novel, The Beloved is based on an actual religious sect, The Agapemonites founded in 1846. Can you tell us about the research you had to carry out on this sect for the novel? I stumbled across the story of The Agapemonites a few years ago when I was doing research for another book. I love quirky pieces of social history, so I stored this one away and had pretty much forgotten about it, until I was thinking of ideas for my next book and found it again in my note file. I actually live not too far away from the village of Spaxton, so the first thing I did was to visit the village. It’s a tiny little place, tucked away in the middle of nowhere with a real feeling of isolation. The buildings of the Abode of Love are still there as is The Lamb pub next door. I could really imagine how much more isolated it must have been in the 1800’s and this gave me a real sense of how such a sect could have survived and flourished away from the public eye. The walls of the pub next door were covered in old newspaper cuttings from the day, so I was able to read about the real scandals and to incorporate them into my story. Newspaper accounts from the period you are writing in are always invaluable, and the tone of the journalism was always so much more colourful than it is today. 2.) The main character, Alice Angel is a naive yet independent young woman which I love and your main female characters in The Quietness and The Madness also seem to have that fiesty streak. Have you ever thought about writing a novel from a male perspective? I suppose I am naturally drawn to writing female characters because of course I am female myself and can draw upon my own memories of what it was like to be a teenager. Every book I write is a new learning curve and a challenge, so yes, I would like to one day have a go at writing from a male perspective – just to see if I could, if nothing else! 3.) Henry Prince aka The Beloved, is a charming yet despicable young man. Do you think he believed his own hype or always had an ulterior motive? In real life, Henry Prince was actually a very ugly old man, which makes it even more surprising that he managed to entice so many followers into his cult. He must have had such charisma though, like many people of that type do. He absolutely believed in his own hype. He really did think he was God made flesh. Which I guess was what made him so persuasive. 4.) You touch on some difficult subjects in your novels which make them tense but so exciting to read. Is there any subject you have found difficult to write about/or wouldn’t write about? I am very much drawn to writing about difficult subjects. I don’t know why. It’s just how I’m made I guess. The darker the better as far as I’m concerned! I don’t think there’s any subject that would be off my radar. I did get very affected when I researched the horrendous practice of baby-farming for my first book, The Quietness. When you’re writing historical fiction, there a distance between you and your subject, which can lessen the impact of a distressing subject, because it seems so far from your own life. But when I delved into the world of baby-farming, I began by researching the life of a baby farmer called Amelia Dyer (I co-wrote her biography – Amelia Dyer – Angel Maker)and followed the lives of some of the children she took into her care and later murdered. I ordered the death certificate of one of these children and reading about how he died, and seeing it in print right in front of me, really hit home and made me cry buckets. I’ve just finished my fourth book (well, still lots of rewrites and editing to do!) It’s quite different from my first three books. It’s not set in Victorian England for one thing, but in 1961. The main character is called Violet and she was born above her Dad’s fish and chip shop at the exact moment Winston Churchill announced the end of World War 2 on the wireless. It’s a coming of age story and follows Violet as she deals with broken friendships, first love, a missing brother and a series of mysterious murders. Now for some quick fire questions! Got to be real books, I’m afraid. Just love the smell, the feel, and seeing them all, fat with words, lined up in rows on my shelves. Although I did buy my husband a Kindle for Christmas. And he loves it. Stand alone. I’m too impatient to wait for the next in a series! Fiction mostly, although I do love the occasional juicy non-fiction social history, such as The Victorian House: Domestic Life from Childbirth to Deathbed. 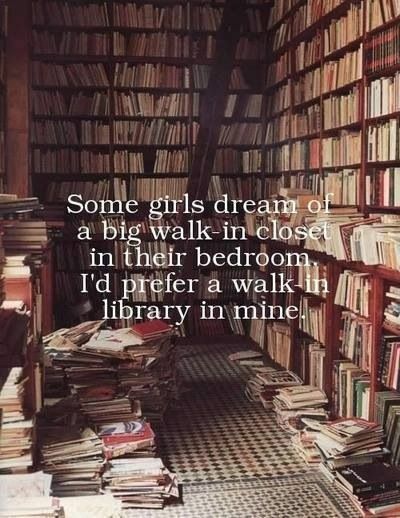 Definitely bookshops. 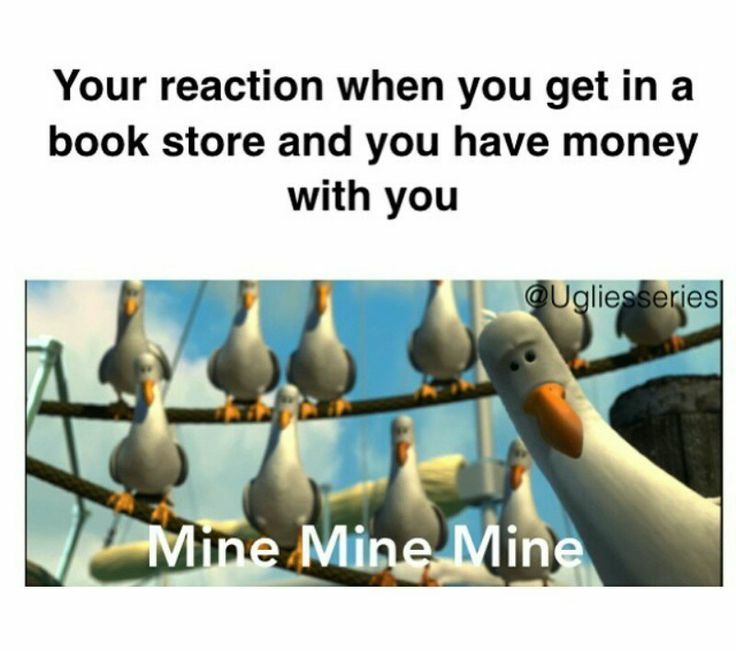 Especially ones with a coffee shop. Heaven! Oh blimey. Dog-earing, I have to admit. My books are always well-thumbed. Once again, a big thank you to Alison for her efforts in making this interview possible and I’m incredibly excited now for the next book. The Beloved was published on 5th March 2015 by Hot Key Books and is available from all good retailers NOW. Why not check out her back catalogue too? I highly recommend both The Quietness and The Madness which are both stand-alone novels and can be read in any order you like! Escape from a bullying mother takes one young woman to an even more dangerous place. Alice Angel has known only a life of rules, restriction and punishments as she strays from the rigid path of Victorian proprietary that her mother has set out for her. A constant disappointment to all but her doting father, she longs for the day that she might break free from the stifling atmosphere of her mother’s rule. After a chance encounter with a charming stranger, and a final incident with her family that sees her condemned to the madhouse, Alice sees her opportunity to run and grasps it with both hands. She escapes to join the Agapemonites in their Abode of Love, where ex-Reverend Henry Prince rules his isolated colony of women as their Beloved. Prince ignites a passion in Alice that she never knew existed, and she dares to think she might be free at last. But as Alice becomes more deeply drawn into the life of Prince’s strange religious sect, secrets are revealed that seem to hint at a darker nature lurking behind the man’s charm. Instead of freedom, is Alice in fact more trapped, alone and in danger than ever before? This is Alison Rattle’s third historical novel following the wonderful The Quietness and The Madness, both of which I thoroughly enjoyed and cemented her as one of my “auto buy” authors i.e. without even reading a synopsis I have faith that her books are going to move me in some way and she hasn’t proved me wrong so far. As with her previous two novels, Alison features a strong young female heroine, in this case Alice, who lives with her emotionally abusive mother and her father and brother who she is closer to. Her mother is incredibly manipulative and seems to delight in punishing her daughter when she strays too far from what she thinks a young Victorian lady should be. The final straw comes for Alice when her mother manages to convince the family that she is insane and should be committed to an asylum. After listening to a stranger preach and being passionately affected by it, Alice decides to run away and join his group, The Agapemonites which is a woman’s only colony of a new religious order ruled over by Henry Prince known to the women who stay with him as their Beloved. At first, Alice is overwhelmed by a satisfied feeling of relief that she has finally figured out where she belongs and idolises Henry, looking for any opportunity to be closer to him and drink in his magical words. Then things start to feel a bit wrong and certain practices which involve some of Alice’s new friends seem slightly abhorrent. When Alice is chosen for a privileged position at Henry’s right hand her worst fears may be about to be confirmed. Has she escaped one prison environment for another? More importantly, does she have the strength to disappear again and where would she go, estranged from her family as she is? One of my favourite things about Alison Rattle’s books is how she draws on factual events from history and interprets it in a new and exciting way. As the author mentions in her Historical Notes yes, there actually was an “Abode of Love,” established by one Henry Prince in 1846 that he built in order to brain-wash a certain type of woman that he was the new Messiah. I hadn’t heard of this before and was absolutely fascinated, inspired to carry out my own research on the subject. The characterisation is magnificent, I loved the strong yet vulnerable and naive Alice, shook my head a few times in disbelief at Alice’s mother Temperance, became exasperated by the weakness of Alice’s brother Eli and read mostly with my mouth (most unattractively) agog at the dealings of Henry Prince. The author has a real gift for pulling the reader right inside the novel and always manages to surprise me with the slickness and excitement of her plot. There is one particularly shocking scene which I won’t spoil but I guarantee everyone who reads it will be moved in some manner. With this third novel, Alison Rattle has without a doubt made it onto my favourite authors list and I even feel slightly jealous that those of you who haven’t read her yet have three fantastic novels to discover while I wait impatiently for the fourth! Please come back to visit tomorrow where Alison Rattle will be visiting bibliobeth for an interview where she will answer what we all want to know – does she dog ear her books?! I’ve picked each of these books because they are ones that I’ve been wanting to get to for a while now. I am honestly looking forward to each and every one of them! Have you read any? What are your favourites? Let me know! Sixteen-year-old Marnie lives in the idyllic coastal village of Clevedon. Despite being crippled by a childhood exposure to polio, she seems set to follow in her mother’s footsteps, and become a ‘dipper’, escorting fragile female bathers into the sea. Her life is simple and safe. But then she meets Noah. Charming, handsome, son-of-the-local-Lord, Noah. She quickly develops a passion for him – a passion which consumes her. As Marnie’s infatuation turns to fixation she starts to lose her grip on reality, and a harrowing and dangerous obsession develops that seems certain to end in tragedy. Set in the early Victorian era when propriety, modesty and repression were the rule, this is a taut psychological drama in which the breakdown of a young woman’s emotional state will have a devastating impact on all those around her. Alison Rattle’s debut novel was The Quietness which I absolutely loved so I was excited to read this, her second novel which I chose as my seventh book from June 2014 – Chrissi Cupboard Month. As well as the stunning cover art which took my breath away, the story inside is both beautiful and poignant. Set in early Victorian times, it follows the life of our main character, a sixteen year old girl called Marnie who was crippled from an early age by infection with the polio virus. Marnie is determined for her disability not to ruin her life, and works long and hard hours both in and outside of her house to make herself as strong as possible. Her mother is renowned in their small village by the sea as being a “dipper,” in other words, helping other women (mostly the rich and frail) to bathe in the sea in order to absorb the healing properties that it was believed to offer. Marnie herself was “dipped” in the water by her mother on a regular basis in the hope that it would cure her affliction and as a result she develops an intense bond with the sea which appears at times to be her only comfort. One day the wealthy Lady de Clevedon arrives in the town specifically to attempt sea bathing as she is constantly unwell and very weak. In tow is her son Noah, whom when he meets Marnie is fascinated by her free and daring personality and the two soon become good friends. Noah’s father meanwhile, lays out his plans for the building of a pier in Clevedon which he assures the town will bring entertainment and prosperity. It’s not such good news for Marnie’s mother though, as the dippers are unable to work while the pier is being built. She channels her energies instead into providing a laundrette service, with poor Marnie doing most of the laundering, Marnie is not discouraged however, as she begins to meet Noah late at night by the sea, encouraging him to bathe and learn to swim, step by step. Unfortunately for Marnie, she is beginning to develop stronger feelings for Noah that go beyond the realms of friendship, and is often puzzled by the mixed messages Noah gives her in return. A few times, Noah would sneak her up to the Manor, where they would have hot drinks and play like children, but Noah is afraid of them making too much noise, and is very reluctant to introduce her to his family. The story really starts to pick up pace when Noah has to return to London with his mother. Even though he shared an intimate moment with Marnie just before he left, he is excited to return to society and see one girl in particular – of his own class of course. I found myself squirming with unhappiness for Marnie as her feelings for Noah increase in intensity becoming a sort of obsession. While he is gone she concocts elaborate fantasies in her head where they are together living at the Manor, never having to launder anything again. Of course, you might be able to see where it’s going, but I really don’t want to spoil anything as I feel the beauty of the story and the writing comes across when you read it for yourself. At times, I almost felt like an eavesdropper on a private moment, as the emotions Marnie goes through are played out across the pages with no holds barred. I also found Marnie’s relationship with her mother very interesting as it didn’t seem to be anywhere near a conventional mother/daughter bond – in fact, it was more employer/servant in my opinion! By the end of the novel, Marnie takes some quite drastic actions which make the novel utterly un-putdownable but because the reader has gone through so much with Marnie, we can almost understand her choices while not condoning them. This story is truly beautiful and haunting, with a bit of darkness added that makes for an utterly compelling read. Beware – don’t read this book if you have any other tasks to complete, because you won’t get them done! I’ve seen this book around for a while and when I read the synopsis I wasn’t really compelled to read it but when Richard and Judy put it on their Summer Reads 2014 list I thought I’d give it a shot. I’m really glad I did as it’s a terrific story, hope to finish it today and look out for my review either this weekend or early next week! Because I Am Pilgrim is quite a beast of a book (just over 700 pages), Hollow Pike, which was on my list last week appears again. It is the debut novel from UK YA author James Dawson and a great read. Look out for my review coming (fairly) soon! Up next, I’m going back to Chrissi’s Cupboard for The Madness by Alison Rattle. I loved her previous novel, The Quietness, and am really looking forward to this one!